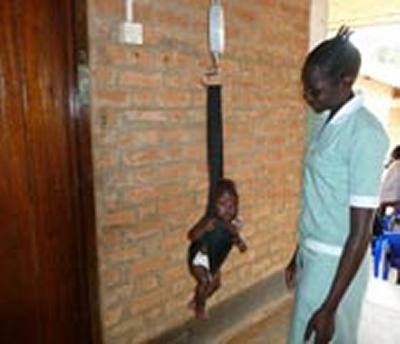 Academics and midwives at the University of Southampton have developed an in-service midwifery training programme that aims to improve maternity services, lower maternal mortality rates and empower women in South Sudan. South Sudan has one of the highest maternal mortality rates in the world at 2,054 to 100,000 live births. The majority of current maternity services, including deliveries, are provided by about 2,500 women who have had between two weeks and eighteen months midwifery training. There are 12 midwives across South Sudan that are recognised as ‘registered midwives’, the majority of whom are from neighbouring African countries. The University of Southampton was appointed by the United Nations Population Fund (UNFPA) to design a comprehensive and standardised national in-service midwifery training programme for the newly developed Ministry of Health, Government of South Sudan (GOSS). Southampton’s team comprised of Dr Mary Gobbi, Mary Foss and Dr Julie Cullen, all academics within Health Sciences, and were supported by Dr Sue Colley, Associate Dean for Health Sciences Strategy Delivery, Business and Enterprise. Each member took specific roles within the programme and agreed the team effort was essential to the success of the programme. Mary Foss, as the midwifery expert, wrote the content of the modules covering all aspects of maternal and neonatal care and was supported by Dr Mary Gobbi and Dr Julie Cullen who assisted in the design, technical and logistical processes and procedures of the programme and its development. The programme’s aim was to strengthen midwifery education in line with the United Nations’ Millennium Development Goal targets of reducing maternal mortality and ensuring universal access to reproductive health services by 2015. The programme is strengthened through the support from the Government of South Sudan; it will be used by everyone delivering midwifery education in South Sudan, including non-government organisations, to enable standardisation of education across the country. To assess what was needed and to ensure the training programme is as effective as possible, Mrs Foss and Dr Cullen spent two, two-week trips in Juba, South Sudan, getting first-hand experience of the region’s maternity provision. The latest visit took place in January and tested the education programme that they have written. The team had to develop a curriculum that could be taught to people with limited literacy skills. To ensure the programme was accessible to all South Sudanese midwives and information could be understood and remembered, the team developed new ways of teaching, through methods such as picture cards and colour codes. The completed training programme has now been delivered to the Government of South Sudan.